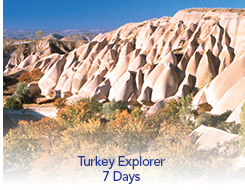 A week-long tour of western Turkey gives you a fascinating glimpse of the important sites in this ancient and modernizing country. A former super power, the Ottoman Empire gave way to the modern Turkish republic after the Great War. The country, due to its location, has always played an important role between East and West.